We love hearing how our courses and qualifications make a difference in the lives of education professionals, and therefore also children and young people, all over the world – this is why we do what we do. However, it is also amazing for us to be acknowledged in various established industry awards, as it gives us great confidence that what we offer is valued by acclaimed leaders and experts in the education section as well. During 2018 and 2019, Real Training has been recognised as a key source of support and development in the area of SEN as well as our work supporting international schools and professionals overseas. 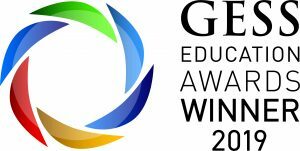 We are delighted and honoured to have won this award at the GESS Education Awards ceremony in Dubai in February 2019. This global accolade recognises the years of hard work our team has put in to develop and deliver a wide range of flexible and relevant SEN-focused courses to suit the busy lives of education professionals all over the world, providing them with the skills and knowledge they require in order to effectively support the children in their setting and achieve the best possible outcomes for them. Real Training was the only organisation to gain a commendation in this category and we are very proud and honoured that our masters-level SEND Programme has been recognised as a valued educational resource. 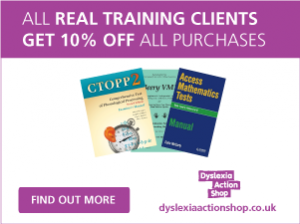 The programme encompasses our established National Award for SEN Coordination and our unique International Award in SEN Coordination as well as other modules focused in key areas of SEN.
With Real Training’s flexible and online learning model, our courses have always been accessible outside the UK and many education professionals overseas have benefited from these courses over the years. However, with a growing focus on inclusion in international schools, the number of delegates completing our courses outside of the UK has increased over the last few years and we have made additional efforts to support the international schools in developing their SEND provision. In it great to be recognised in this work as a finalist in the Education Exporter of the Year category for the Educational Resources Awards (ERA). As with the ERA Exporter accolade, we are delighted to be recognised as a key ‘exporter’ of important services for the international education sector. In 2018, we met market needs by delivering two face-to-face Certificate of Competence in Educational Testing (CCET) courses in Dubai and this is something we are continuing in 2019 in Dubai and Qatar… so far. To support international schools, we are also working with many International School groups, such as COBIS, ECIS, BSME and FOBISIA.